Three journalists whose range of experiences includes coverage of major national and international events, public health and environmental dangers, politics and local history, are the newest inductees into the Bill Miller Public Affairs Reporting (PAR) Hall of Fame at the University of Illinois Springfield. The inductees, who will be honored March 6, include Kansas City Star reporter Scott Canon, Chicago Tribune investigative reporter Michael Hawthorne and former State Journal-Register editor and reporter Mike Kienzler. The three are all graduates of the UIS Public Affairs Reporting Program. Canon was a member of the PAR class of 1982 and has worked for the Kansas City Star since 1989. He has covered the bombing of the Oklahoma federal building, the Columbine school shooting, the NATO occupation of Kosovo, the start of the U.S. military campaign in Afghanistan in 2001, the U.S. invasion and occupation of Iraq in 2003 and 2007 and tsunami recovery in Sri Lanka. He's also covered political campaigns, statehouses and periodically produced investigative work. As part of a science writing fellowship, he visited the Arctic Circle and Antarctica. He began his career at the Champaign News-Gazette and the Santa Barbara News-Press. Michael Hawthorne is a member of the PAR class of 1989. As an investigative reporter for the Chicago Tribune, he focuses on public health and environmental stories. In 2013, Hawthorne and two colleagues were finalists for the Pulitzer Prize for Investigative Reporting. Their stories exposed a deceptive, decades-long campaign by the tobacco and chemical industries to promote the use of harmful, ineffective flame retardants in household furniture. Other stories by Hawthorne prompted new laws and health reforms at the federal and state level. Before joining the Tribune in 2004, Hawthorne wrote for the Columbus Dispatch, Cincinnati Enquirer, Champaign News-Gazette and the Daytona Beach News-Journal. Mike Kienzler is a graduate of the first PAR class of 1973. He spent not quite 40 years as an editor and reporter with The State Journal-Register, the Springfield daily newspaper. He was metro editor and deputy metro editor for most of that period, with prime responsibility for the paper's election and government coverage, among other duties. 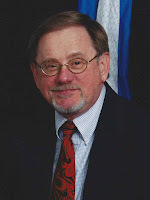 Since retirement in 2013, Kienzler has been founding editor of SangamonLink.org, the online encyclopedia of the Sangamon County Historical Society. Kienzler is a member of the Illinois State Historical Society Advisory Board and a recent past board member of the Lincoln Monument Association, a support group for the Lincoln Tomb State Historic site. An induction ceremony will be held on March 6 at 6:30 p.m. in the Conservatory Room of the Inn at 835, located at 835 S. 2nd St. in Springfield. Register online at http://go.uis.edu/parhof or call 217/206-7163. The PAR Hall of Fame Induction Ceremony is sponsored by the UIS Center for State Policy and Leadership. The Hall of Fame is named in honor of Bill Miller, an award-winning journalist who served as the PAR program’s director for 19 years. The UIS Public Affairs Reporting program is a one-year, professionally-oriented master's degree program that prepares students to become a working reporter covering public affairs in its broadest sense — informing readers, listeners and viewers about ongoing events and activities that impact on their daily lives. For more information, contact Rob Fafoglia with the UIS Center for State Policy and Leadership at 217/206-7163 or rfafo2@uis.edu.